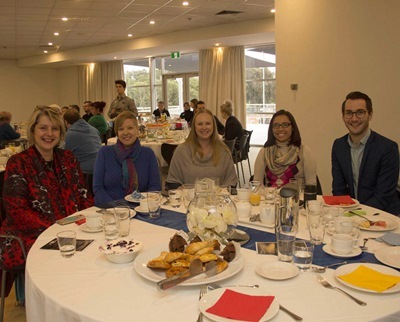 On May 17, DHS celebrated International Day Against Homophobia, Biphobia, Intersexism and Transphobia (IDAHOBIT) Day by hosting a breakfast at Next Generation for South Australian LGBTIQ communities. Keynote speaker, Lee Carnie from the Australian Rights Law Centre, focused her message around the global theme for IDAHOBIT Day 2018, “Allies for Solidarity”, particularly the need for LGBTIQ people and their allies to continue to work together to promote diversity and inclusion. You can check out a short video on the DHS Facebook page from the breakfast where guests share what IDAHOBIT means to them, featuring our own Principal Policy Officer Colleen.